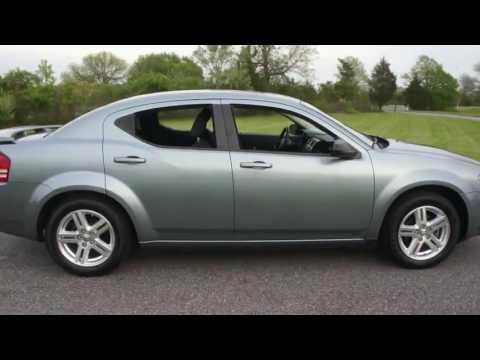 Dodge Avenger is the perfect car who just wants a practical well rounded vehicle. I love my 2009 Dodge Avenger! It is a 4 cylinder and gets pretty good mileage. I’d guess around 30-35 mpg. It is top speed According to my speedometer is 118 mph. It is a 4 door with plenty of legroom for everyone. The trunk is massive and one of the back seats folds down. I am a fisherman so it works perfect to fold the seat down and put my rods in the trunk and over the folded seat. It is lights are so good I hardly ever use my brights. I hit a pheasant and it didn't do any damage at all. It is my precious. Regarding the car in general, it drives so smooth. I bought my car used, and from a private dealer. I love how my car has important safety features for a car before 2010. The doors will automatically lock once the car accelerates past 10mph. The trunk will not open, if the car is on, and it is not in park. I don't have to worry about accidentally pushing the trunk button while I am driving. Performance is very great, except for the fact that it only has about a 25 highway mpg rate. It has power windows doors and locks and it is equipped with remote starter. I have had my Dodge Avenger for 10 years I bought it new all I have had to do is normal stuff change oil brakes fluids and keep gas there's nothing major happened to it I love it I get my fluids flushed once a year I change the oil every 3000 miles it has 77534 miles it is also the r/t package with heated leather seats all power and works it is been paid off for 6 years and like I said all I have done to it is normal maintenance.